Fallout 4 Deatclaw F. Sudol Fan Art Above! Learn how it was shaded and colorized while hearing some news about Fallout 4. Thank you for playing! The game was created using Game Editor software. Amazing 3D Pop Outs Short! To adjust 3D, click on the gear icon and select 3D/options. Years ago, I decided to see what some of my cartoon illustrations would look like in stereo 3D, so went ahead and with the use of the Dashwood Stereo 3D Toolbox LE combined with Final Cut Express 4, turned them into stereo 3D. The goal was strong 3D pop outs. Did I succeed? Are the images way out of the screen? I hope so. -The pizza you see is one I baked and took a picture of for this 3D presentation. It looked better than it tasted. Pizza needs more salt. -City of Rott’s Fred appears also. -The music is a electronica song I created, called “Grinder” under my music Aggressive Electronx. -The cartoon illustrations are pictures I’ve drawn over the years. Listed below are some samples of my favorite tracks. I was inspired by Yuzo Koshiro from the Streets of Rage series, and have been creating electronic music ever since 1995 when I got my first chance to use a step recording Electronic Keyboard, though these days, I create everything from scratch using music creation software Garage Band allows you to create instruments and notes at will. Great program that closely resembles the MTV Music Generator on the PS1 and PS2, which I used to create music with. If you like what you hear, please show your support and purchase an album or song at bandcamp.com today, thank you! Clip from Shock Invasion, the 2010, 2011 feature length animated horror, Alien Monster invasion movie created by one guy (still available on DVD at amazon.com). It took a lot of dedication, but I like this one the best of the first three animated features I made. I’ve learned to not be too critical and while watching them again, to remember the original intent I was going for with these films. City of Rott: Intent: Showcase a Zombie Gore movie with an old guy battling zombies. Dead Fury: Spoof Evil Dead, in animated, gory form. Shock Invasion: A post apocalyptic alien invasion where two survivors explore the dangerous City. Above is Fred Figiero animated using Anime Studio Pro 8. A marked improvement over the stiff animation style of Image Ready from 2006’s “City of Rott” feature length animated zombie movie. Fred will be appearing in a future project. City of Rott: The Game in early development. Using City of Rott assets from the movie, this action brawler side scrolling game will star Fred on his quest for a pair of shoes in a Zombie infested City. Inspired by classic games like Streets of Rage, it’s always been a dream to create City of Rott in this style of game. A long way to go since this is a side project, but I’m looking forward to completing it and making it fun to play. No easy task. 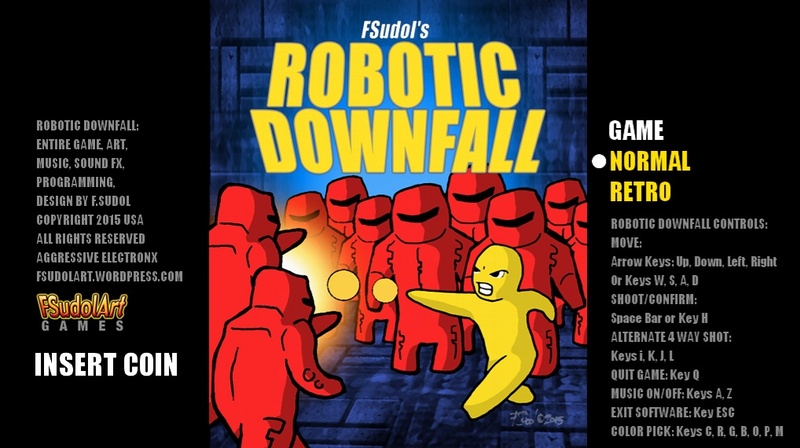 Also check out F. Sudol’s Robotic Downfall, for PC, Mac and Linux available June 9, 2015. 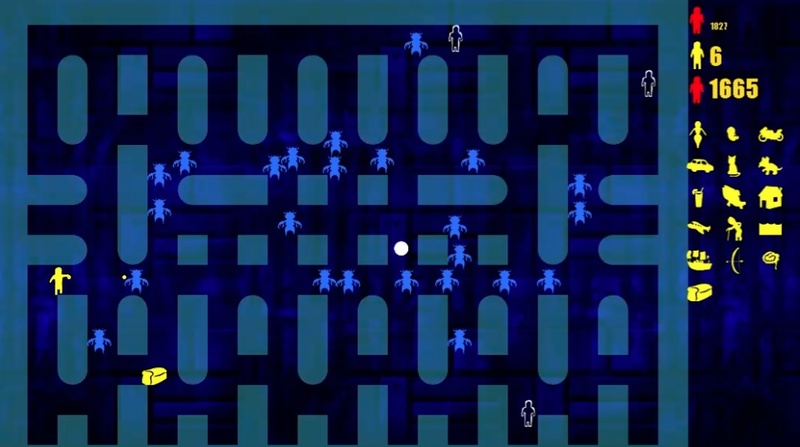 Robotic Downfall was made entirely by one guy, and inspired by Frenzy, Berzerk and Robotron classic arcade games. Try to beat all 30 levels if you dare.